As a technology writer, phone screenshots can pile up on your computer in no time. 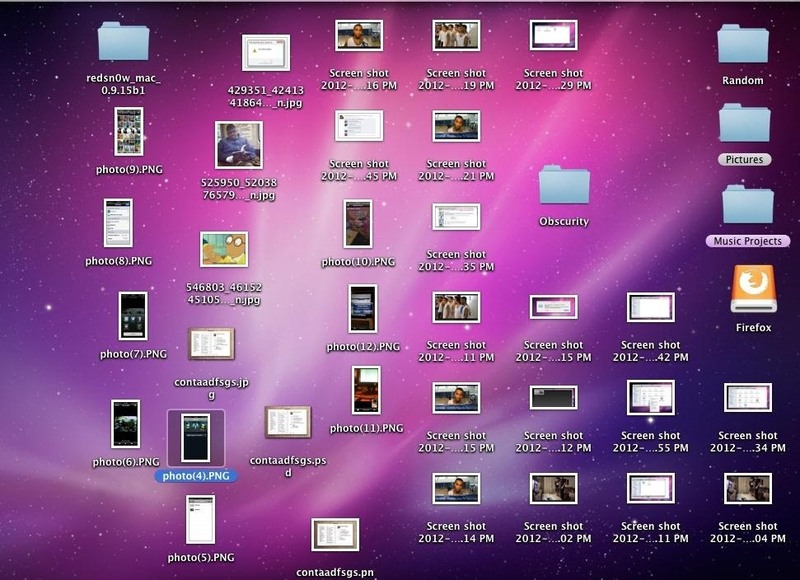 Testing out different apps, showing buggy software, and doing step-by-steps can lead to a plethora of mobile screenshots piling up on your computer's desktop. The problem with my screenshots is that they save as photo.png or photo.jpeg, as do many of my other photos. If I haven't finished a project or article, I tend to move them to different folders to save them for later. After a while, the screenshots begin to pile up, I forget about them, and then my computers slower. 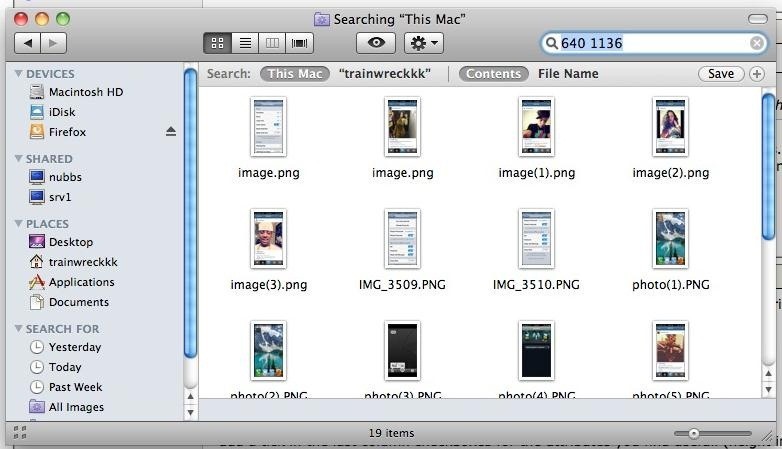 To go through each image one by one can be costly in time, so how can I easily find all of my mobile screenshot photos? 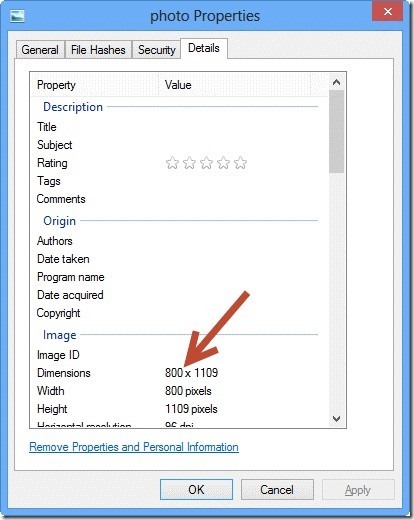 If you're running Windows, you can use a free application called Dimensions 2 Folders. After running it, you provide the parent folder you would like to search in. Since the application itself does not delete the files, you'll want to create a temporary throwaway folder where you can put all the images in. If I want to delete all of my iPhone 5 screenshots, I'll simply look up the dimension 640 x 1136 pixels (standard for all iPhone 5s). It all depends on what type of phone/operating system you're using. On a Mac, it's much simpler to find dimensions. 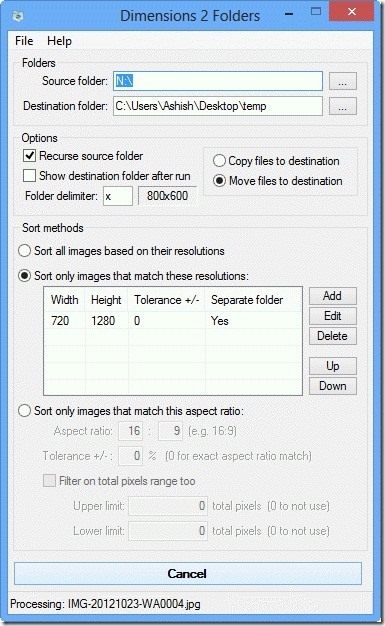 All you have to do is open a Finder tab and type in the dimensions like in the picture below. It easily found all of my iPhone 5 screenshots, which I can select and dump into the trash. No extra application needed.